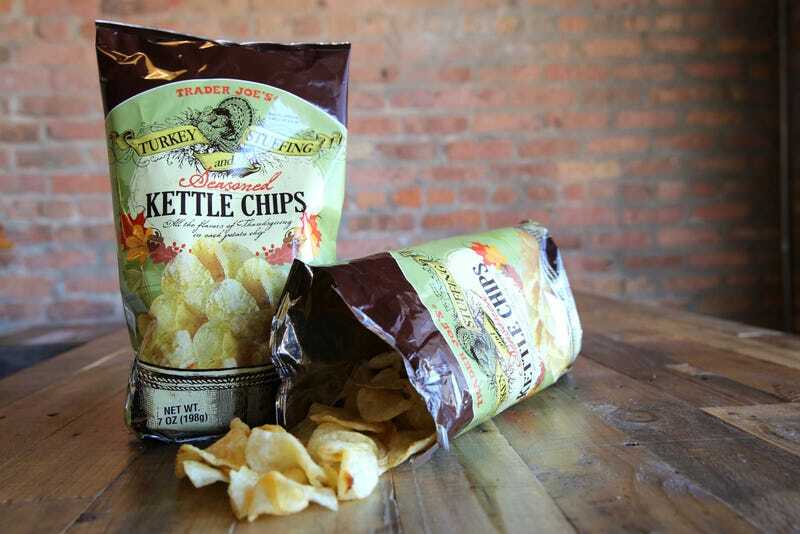 Their latest offering carries on their streak of chip experimentation in time for Thanksgiving: turkey and stuffing flavor. Recoil all you want, but accept that most savory seasonings will taste decent on a crispy potato chip. And TJ’s turkey and stuffing chip, even if it doesn’t wholly replicate the flavor of Thanksgiving, evokes just enough to be truthful in its advertising. More importantly, it’s pretty tasty.